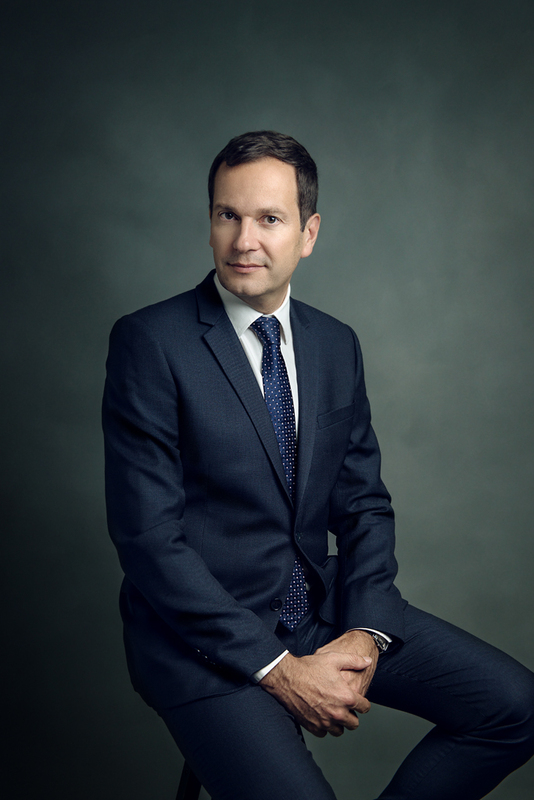 Before his appointment in May 2017 as Managing Director of BMW Group Asia, Mr. Paul de Courtois was Director General of BMW Group Poland for four years. But with 13 markets now effectively placed under his care, how will he communicate the values of the brand and the tremendous innovation that it is poised to bring to the automotive industry? “Singapore is an interesting and complicated market,” Paul de Courtois surmises. 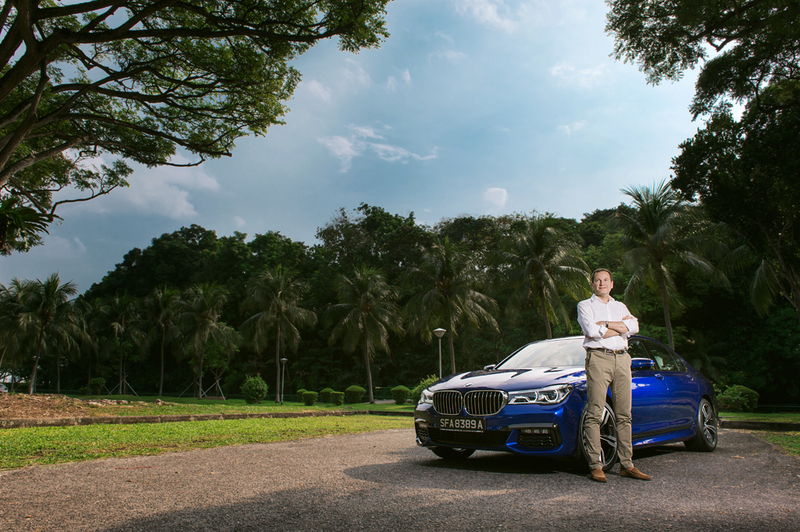 “With fluctuating COEs, the encouragement to de-register vehicles after 10 years, and the new Vehicle Emissions Scheme (VES), Singapore is unlike any other market I’ve worked in before,” the newly appointed managing director of BMW Group Asia tells Portfolio. Despite all these unique government regulations, however, Mr. de Courtois still finds room for growth in the local high-end automobile market. The EIU expects Asia’s premium consumer class to grow from 217 million in 2015 to 492 million in 2025, he says quoting a report. 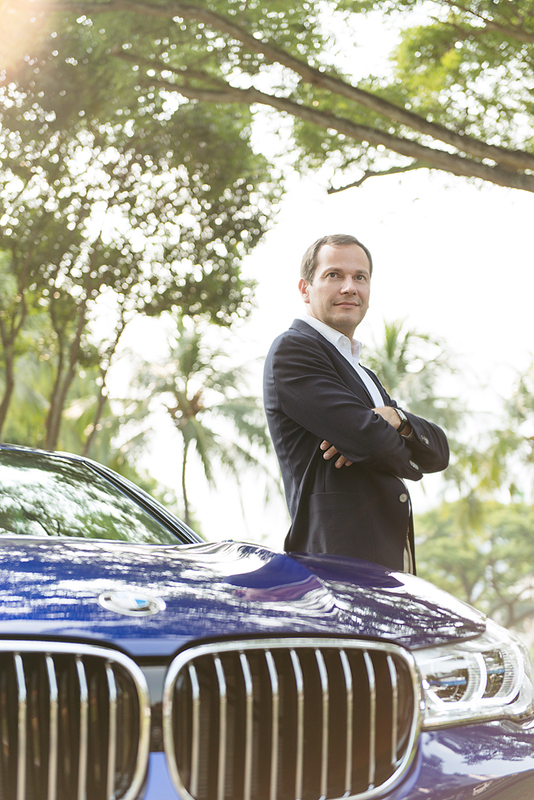 “I believe Singapore will drive a large portion of this growth, and as a result, the desire for premium luxury goods and services will increase in the market.” BMW is on track to offer these customers a wide variety of luxury vehicles that will not only be a mode of transportation to them, but an extension of their personalities and lifestyles, he adds. According to the Singapore Land Transportation Authority (LTA), the mass luxury car segment is outperforming the overall market as premium car manufacturers venture into the volume segment by offering a wider range of models with more accessible pricing. From January to June 2017, mass luxury brands put 10,399 new cars on the road, an increase of 11.4 per cent from the same period a year ago. The market share for BMW stood at 24 per cent, with 2,532 cars being registered during the same period, growing on par with the mass luxury car segment. “As in many markets throughout the world, we have a very diverse group of customers in Singapore,” shares Mr de Courtois. “However, our customers here are more digital savvy than most; they have an appetite for new innovations and digital experiences, and are focused on quality and performance when it comes to luxury items. The BMW Concept X7 iPerformance introduces a whole new take on luxury for the BMW brand. Whether it be the exterior design or the progressive sense of opulence in the interior –with generous levels of space for six people, exquisite materials, and intelligently connected infotainment system, “the BMW X7 is the one to keep an eye out for in 2018,” says Mr de Courtois. The BMW Group’s Our strongest customer base belongs to the GKL segment, German for Grand Klasse, which includes the BMW 7 Series and BMW 6 Series Gran Coupe. “However, in order to continue engaging this market we need to offer them a wider range of vehicles that embody luxury and exclusivity,” Mr. de Curtois qualifies. At IAA in Frankfurt, the Group unveiled the BMW Concept X7 iPerformance, the BMW Concept 8 Series, and the BMW M8 GTE—models that introduce a whole new take on luxury for the BMW brand. “And it’s only the beginning, he adds. BMW develops other segments by inviting existing and potential customers for exclusive driving experiences, such as the annual BMW Alpine xDrive event in New Zealand and the (first ever) BMW Driving Experience safari that combines the award-winning BMW X5 Tour with a unique horse-riding experience on purebred Arabian horses. Such experiences allow BMW customers to form a deeper appreciation and understanding of the brand’s fervent spirit, its rich heritage, and its plans for continued success. BMW has a wide range of cars that cater to the needs and desires of all ts customers. “Whether it be for families, young professionals or senior executives, there are numerous options that they can choose from,” says Mr. de Courtois. “For instance, the 2 Series Gran Tourer is a popular choice for larger families in Singapore, while the all-new BMW 5 Series appeals to modern business man or woman. The BMW i3 is targeted at people who are excited to be early adopters, and are enthusiasts of sustainability and innovation. No matter who you are, or what drives you, we have a vehicle that will suit not only your personality, but your lifestyle. Mr. de Courtois believes that key to achieving their goals this year – and every year – is working closely with their importers and dealers throughout the region. As they are the ones on the ground and in direct contact with BMW customers, they have unique insights into how BMW can grow its market share and continue delivering exceptional experiences to all its customers. “In addition to this, we will continue to launch new models throughout the region,” he reveals. In 2017, the BMW Group began the biggest model offensive in its history with the launch of the new BMW 5 Series, giving customers a first impression of semi-autonomous driving technology. MINI also launched the largest MINI to date – the new MINI Countryman – further advancing the brand within the premium compact segment. Perhaps even more exciting was the recent launch of its range of electrified vehicles last month. Three years since first launching the BMW i3 and BMW i8 in Singapore, BMW Asia finally brought to market the new BMW i3 (94Ah), and a wide range of plug-in hybrid vehicles consisting of the BMW 225xe Active Tourer, BMW 330e Sedan, BMW 530e Sedan, BMW 740Le xDrive and BMW X5 xDrive40e. In this and the following year, the company will launch a total of around 40 new and revised models across its three premium brands, including the all-new BMW X3, the BMW 6 Series GT and the BMW X7. The markets covered by BMW Group Asia are diverse and the potential for growth in key markets such as Singapore, the Philippines, Vietnam and Indonesia is immense. Singapore, the Philippines, Vietnam and Indonesia are the markets that are showing the most promise, shares Mr de Courtois. “That said, we need to stay vigilant and be ready to adapt to the changing economic, political and social landscape in these countries as these factors can impact how fast we grow and our ability to deliver the right mix of offerings for the respective markets. “We have plans to further develop Brunei, Sri Lanka, Bangladesh and Myanmar. With infrastructure development in these markets and an increase in the affluent population, there is increased demand for premium products and services. “We are also seeing more instances of customers wanting to be first adopters of new technology. For example, Sri Lanka is experiencing a positive uptake in electrified vehicles. This points to a paradigm shift where customers don’t just require a car to get from point to point, they are also looking for a sustainable and environmentally-friendly solution for their daily mobility needs. “In order to be successful in these markets, we need to work closely with our dealers and importers, and leverage their expertise and experience in the region. It’s not enough to simply introduce new models in each market, we need to understand who our customers are there, what their needs are and how we can provide them with products and services that are best suited for their lifestyles. The BMW Group has 17 plants worldwide. From modern lightweight robots, smart devices, exoskeletons, augmented reality goggles and autonomous transport systems to electric-powered trucks, the BMW Group is testing a wide variety of different technologies and innovations to support workers in making the production system leaner and more adaptable. The BMW Group is the first automobile manufacturer to introduce a unique system concept with a fully-automated, optical measuring cell in its pilot plant in Munich. Freely moving robot arms use sensors to create a three-dimensional image of the entire vehicle and generate a 3D data model from the data captured. This allows barely visible deviations to be identified at an early stage. BMW uses self-driving robots at the Wackersdorf plant in Munich to transport materials. The size of a suitcase, this robot is flanked by radio transmitters and equipped with a digital map that enables it to drive independently to its assigned destination. It is also fitted with a sensor that identifies obstacles in its path and halts its motion to prevent any accidents. Each robot can transport car parts weighing up to half a ton. The Driving Assistant Plus system includes Cross-Traffic Warning, Steering and Lane Control, Traffic Jam and Lane Keeping Assistants. There sis also the Parking Assistant, which can automatically park the vehicle with the driver either seated inside or controlling the process from the outside. The current systems require the driver to permanently focus their attention on the traffic, partly due to the capabilities of today’s technology, as well as the legal situation at present. The driver is responsible for the task of driving at all times. Features such as hands-on detection are designed to ensure this responsibility is fulfilled. A highly innovative brand, the BMW Group strives for engineering excellence. It is associated with quality, luxury and high performance. “These are the characteristics that have and will continue to be the foundation for all the work that we do,” Mr. de Courtois asserts. “For 100 years, the BMW Group has been inspiring people worldwide with unique mobility experiences. We have every intention to continue to build on our successes. While we are transforming from a carmaker into a tech company and a mobility-service provider, we will also continue to stay true to our roots: providing driving experiences that fans and enthusiasts have come to love over the years. Paul de Courtois is affable in the way of a new wave of young leaders today. It is easy to imagine him in the mold of an Emmanuel Macron or a Justin Trudeau – young, with good education, beautiful manners, and a deep sense of responsibility that is often associated with old-world corporate honchos. But they are also versed with popular culture, conversant with new technology, and concerned about world affairs. I first met Mr. de Courtois at a high-profile charity event where BMW was a principal (and longstanding) sponsor. On our next meeting a couple of months later, he invited me for a ride in his car, a BMW 7 Series in a unique color called ‘San Marino blue’. He had just returned from an overseas business trip and must have been exhausted, but he showed no signs of it. Before we boarded his car, he opened the spacious trunk to show me a small cooler at the center flanked by a first aid kit on one side and what can be a shoe compartment on the other. The roomy interior is very well designed, every element exquisitely crafted. We chatted as we rode, and I found him to be amiable. He told me he gets his news from The Economist and broadsheets, particularly when he is in France. He listens to different types of music. He likes to spend most of his free time with his wife and three kids because “they actually help me relax”. He longs to get back into jogging, playing tennis, and maybe even hitting the golf course, but they have to wait for now until he finds ample leisure time. He would also love to take the wheel for a long drive through Australia or New Zealand, where he finds roads and the scenery amazing, and on such a trip, he would take his family. “I’d love for my kids to experience the excitement of being on a road trip. Like most Managing Directors who are responsible for multiple markets, Mr. de Courtois does not feel he has a ‘normal workday’. “I’m responsible for the Southeast Asian and the South Pacific markets, and each market is unique in how it operates. As such, new challenges and opportunities are brought to me on a daily basis. “Previously, I was responsible for one market, which is obviously easier than having to deal with 13 markets across the region. Each market has its own challenges, opportunities, and nuances that make work challenging and exciting at the same time. “When I’m in Singapore, I am working closely with my first line to ensure I’m up-to-speed on developments in each of the markets. Otherwise, I travel frequently to key markets such as the Philippines, Vietnam and Indonesia. As much as I would like it, I unfortunately haven’t had a chance to travel to some of the markets that are a bit further away, such as Tahiti or New Calendonia. He jokes that the view is what he enjoys most about his office, but adds on a more serious note that working “with a very diverse and intelligent group of individuals” excites him about being in Singapore. “I’m looking forward to learning more about them as time goes on,” he adds. 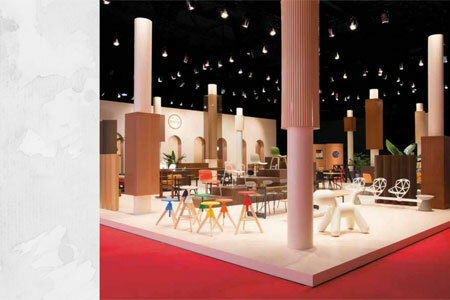 “Singapore is appealing for a variety of reasons. First and foremost, it is a business hub in Asia and with the launch of the ASEAN Economic Community, Singapore will continue to develop as the gateway into Southeast Asia. Mr. de Courtois personally believes that one needs to adapt his leadership style to the team he is working with and the environment he is in. “In my current role, I’m responsible for 13 markets and in the office we have people from 16 nationalities. My first line is also made up of a diverse group of smart individuals who all work differently, and have had different experiences working in the automotive industry.